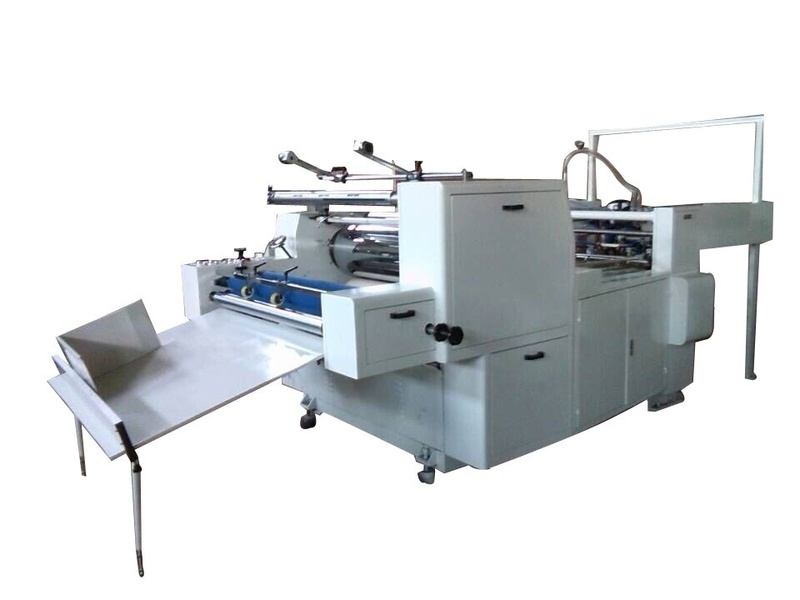 GT-740 fully automatic laminator is one of new designs to suit glueless film lamination and pre-glued film lamination. This laminating machine is composed of feeding system, laminating system and cutting system and rewinding system. The electric and pneumatic devices are controlled by programmable control (PLC) system. And the operator can operate the machine easily on touch screen. Heating roll adopts built-in oil heating system which has excellent heat-remaining property to precisionize and stabilize laminating temperature. This machine centralizes the features of compact structure, high automation, humanized operation design, and is an excellent choice for large and medium-size enterprises. 1.Automatic paper feeder adopts oil-free vacuum pump to feed paper automatically. systems. When no paper or paper break occurs, the machine will stop automatically for self-protection. can be checked at any time. 4.Conveying table is furnished with air aspirator and front lay etc. to guarantee paper conveying and overlap stable and regular. 5.High precision of chrome plated heating roller is equipped with built-in oil heating system, which has excellent performance to temperature control. The laminating temperature is adjustable upon applications. 6.Hydraulic pressuring system provides automatically big and steady pressure to guarantee good laminating quality. 9.Anti-curvature device: when going though the anti-curvature device,the laminated paper shall be leveled at once and won't curve again after cut.